“Winning ugly”, the expression coined by former tennis player and leading coach Brad Gilbert is no longer an adequate way to describe how some teams and, less often, individual athletes find their way to victory. I would like to suggest “winning grim” as a term to explain the logical conclusion of this trend. Brad Gilbert, a player of modest talent but great tactical understanding and mental strength, made himself very difficult to beat by dogged determination. His now famous book “Winning Ugly” is a manual for getting the best out of yourself and for finding a way to win against opponents who are slightly better. It covers match preparation but is primarily concerned with tactics on the field of play. The term is now widely used in sport, perhaps most often by fans frustrated that a team or player is failing to win ugly. That is to say, they are losing games which they are capable of winning, lacking the killer touch, inconsistent. Winning grim is the logical end-point when fans, financial backers and political stakeholders demand results. It is a strategy motivated by fear which is perfectly focused on the bigger prize. For this reason winning grim is better suited to league competition and major tournaments rather than to individual matches. Winning grim should not be equated with cheating. Winning grim is legal and sometimes necessary, especially after a series of disappointments in big events. Eventually, however, winning grim will leave fans joyless and frustrated, alienating federations and other stakeholders along the way. You can’t afford to win grim all the time. Masters of winning grim include José Mourinho and the England football team. It is to the great credit of the All Blacks that it was only in the final against France that they had to resort to winning grim. After a long wait for their second Rugby World Cup victory we should forgive them. Just over a week into the Rugby World Cup, Ireland beat Australia to provide the first major shock of the tournament. The stakes are particularly high because the Rugby World Cup is the pinnacle of the sport and only takes place every four years. There are plenty of international rugby matches – arguably too many – but the primacy of the World Cup is clear to all, whether players, governing bodies, sponsors, media or fans. There are some other sports which would benefit from similar clarity. Rugby fans will recall that Ireland and Australia have had memorable encounters at previous Rugby World Cups. In two of their four matches, Australia won by a single point (1991 and 2003). Australia and Ireland have played each other once a year on average over the last 15 years, including a notable 20-20 draw in 2009, but it is the World Cup games which stick in the memory. Similarly, today’s Welsh victory over Samoa has added significance because Samoa have twice beaten Wales at previous World Cups, a fact mentioned in most of the match reports (see, for example the Guardian and Sydney Morning Herald). Actually, Wales and Samoa have played five other matches over the years, the details of which I suspect few people can recall. The addition of Rugby 7s to the Olympic programme in 2016 will provide a challenge to the Rugby World Cup and some of the top players may be tempted to specialise in 7s but ultimately it is sufficiently different from the 15 a side game not to be a direct threat. It will also provide a higher profile platform for the women’s game. While other sports, ranging from football to cricket, athletics and tennis have a fairly clear hierarchy of tournaments, the competition between the the biggest events in each sport risks devaluing them all. For example, while the four Grand Slam tournaments are the highlight of the tennis calendar, both men’s and women’s tennis have end of season events for the top eight players in the world with big prize money on offer. The Davis Cup and Fed Cup are also in the mix and then there is the Olympic tournament. Although it is natural for international federations to want to have a full calendar of major events, there is value in recognising and protecting the real highlights. This becomes more difficult when there are different rightsholders for major tournaments (such as FIFA, UEFA, other continental associations and the big national leagues in football). Protecting the scarcity value of the top events matters for athletes, who risk burnout, and all of the stakeholders including the sponsors and fans who ultimately foot the bills. Greater focus on existing prime properties may be a better strategy for sports to grow than increasing the number of matches and tournaments. After all, sporting history is worth paying for, meaningless international matches are not. When the Rugby World Cup final arrives on 23 October everybody from players through to fans will know that this is a genuine piece of sporting history. Formula One announced on 29 July that the BBC and Sky Sports will share TV broadcast rights in the UK from 2012 to 2018, leading to howls of protest from fans. In a trade-off between revenue and audience reach, Formula One is trying to get the best of both. The BBC will show half of the races live on TV with the corresponding qualifying and practice sessions. It will also keep highlights and radio rights for all of the races. Sky, meanwhile will show all races, qualifying and practice sessions live. The key issue for British consumers is that the BBC only charges an annual licence fee per household of £145.50 (frozen for six years from 2010) whereas an annual subscription to Sky Sports will cost an additional £487 with future rises all but certain. There are several million Sky Sports subscribers in the UK but the potential audience is a fraction of that on the BBC. For the Formula One rightsholder the additional revenue is highly desirable. The racing teams will earn a share of the increased pie but they also need the largest possible audience to maximise their appeal to sponsors. According to news reports (see for example the Guardian), they will be seeking clarification on the deal. Sky has been very successful with its sports broadcasting, driving subscriber numbers through live football rights in particular. Formula One has a large, loyal fan base, many of whom are probably not existing Sky Sports subscribers so it seems a good fit. However, the big question is whether hundreds of thousands of additional customers will now sign up for Sky Sports because they want to watch the full season. Production costs for broadcasters covering the Formula One season are very high due to the constant travelling and technical demands. Without the advantage of exclusive rights and a captive audience, it could be that either the BBC or Sky Sports find the costs too onerous before the end of the contract in 2018. For the future health of Formula One it is important that new young fans are constantly being recruited. While Formula One earns revenue from many markets, the UK is one of the largest. Cricket and other sports have debated in the past the rights and wrongs of accepting the highest bid for TV rights (which tends to come from pay TV stations) or the option which will give the broadest audience (usually from free to air TV stations). After European Union intervention, rights for the UEFA Champions League in the UK have been shared among different TV stations. The outcome is a certain level of confusion among spectators but they do at least have an opportunity to watch a selection of matches on free to air TV. According to the Independent, European law may prevent national TV rights deals in future. For the moment Formula One’s deal looks a reasonable compromise but it will take time to see whether it is getting the best of both worlds – huge revenue and a broad audience – or an unsustainable mish-mash. Fans may be unhappy but Formula One is in a strong position – many other sports would be delighted to face the same dilemma. Can cycling capture the British imagination? But it was the feat of a 25 year old Manx man on the Champs-Élysées that was the most remarkable, but possibly less appreciated. 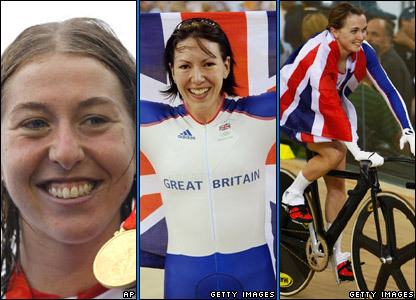 Over the past 20 years, British cycling has had much success, particularly on the track. 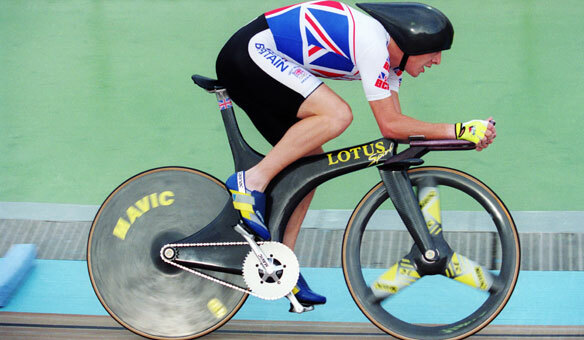 The titanic battles between Chris Boardman and Graeme Obree in the 90’s saw them swapping the World hour record then in the 00’s Chris Hoy and Bradley Wiggins came to the fore, along with Nicole Cooke, Rebecca Romero & Vicky Pendleton in 2008. But while gold medals briefly sparkle in the eyes of the public, the true measure of cycling success in the eyes of cycling purists is measured on tarmac, or to be precise, the cobblestones of Paris. The Tour de France is one of the toughest events any athlete can compete in, both physically and mentally. The first 10 days of riding see them maintain impressive speeds of around 45km/h over distances of around 175km. Each day. And that’s before the mountain stages kick in. Visits to the Pyrennes and then the Alps have riders grinding out over two or three climbs on each stage, with climbs of around 12 – 20km long at gradients of around 8%. It’s hard to comprehend the pain these guys go through, the lactic acid building in their legs particularly when climbing, but imagine walking to the top of the Empire State Building twice a day (without stopping)…and then you’re beginning to get close. Only once before has a British rider ever won a jersey on the tour (Robert Millar was King of the Mountains in 1984). Before Mark Cavendish, proud wearer of this year’s “maillot vert” (green jersey, awarded for sprinting) no British rider had been able to endure the pain and exhuastion of completing on these stages, day after day for three weeks and be there at the very end to sprint to victory on the final day on the Champs-Élysées. Cav has done it three times now. Now despite appearances, road racing is not just an individual sport. You cannot reach the end of the race and be fresh enough for a sprint finish unless you have an exceptionally disciplined and supportive team. They protect their lead rider: conserve his energy, keep him out of crashes, keep him fed and watered. And in HTC-Highroad, Cav has one of the best teams out there. And boy does he know it. After every stage victory, one of the first things the Manx Missile will do is thank his team. His best friend Bernie Eisel and the Australian Mark Renshaw are particularly important to him, both going beyond the call of duty to support his sprints to the finish line. …here in the UK they are very much second fiddle to the stars of football, rugby, cricket, golf and even tennis (albiet for 2 weeks a year). And that’s understandable, but perhaps that’s about to change. 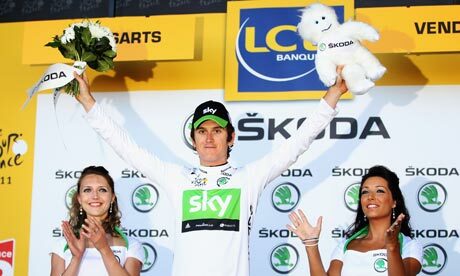 One guy who will be looking on ruefully at Cav’s picture on the front pages will be Bradley Wiggins. Riding for Team Sky (which for all intents and purposes is the Team GB Cyling team) he started the Tour in the form of his life and was looking to eclipse his 4th place finish of 2009 and challenge for the overall victory. Sadly a innocuous looking crash on stage 7 saw Bradley break his collarbone, forcing him out of the race. It was a cruel blow, both for Wiggins and for Team Sky who had prepared to support him all the way to Paris. But he will be back – seeing the 34 year old Cadel Evans claim overall victory will encourage Wiggins that he still has time on his side while his absence allowed two younger Brits, Geraint Thomas and Ben Swift to shine and they have a bright future. With the likes of Cav, Wiggins, Thomas & Swift set to command the front of the peloton and hopefully keep their faces and jersey’s front of mind, this could be the ideal time for brands to invest in British cycling and take advantage of a golden generation. When FIFA President Sepp Blatter announced in December last year that the 2018 and 2022 World Cup tournaments would be played in Russia and Qatar respectively, it was a surprise to many football fans but not to the bookmakers. This decision continued a trend: where China led in 2008, the other BRIC countries are following. Between 2014 and 2018 Russia and Brazil will both host the Olympic Games and the World Cup, the two mega-events in sport which reach a TV audience of three or four billion with several hundred million watching the most popular live broadcasts. India has already put on the Commonwealth Games, co-hosted the Cricket World Cup and may submit an Olympic bid. And as Qatar proves, it’s not only the BRIC countries that are getting involved. Formula One has also been making a determined effort to appeal to new markets recently, adding races in Abu Dhabi (2009), Korea (2010) and India (2011). The planned race in Austin, Texas in 2012 can even be classed as expansion into a new market given Formula One’s patchy record in the USA. However, global expansion also increases risk. The 2011 Bahrain Grand Prix was cancelled at short notice due to political unrest, and attempts to reschedule it were met with strong opposition. High profile sports events can be disrupted in any country but sponsors and broadcasters will be wary about committing investment if they perceive significant political, economic or reputational risk. For a growing sponsorship industry and other stakeholders in sport, these new frontiers present both a challenge and an opportunity. New markets are challenging because the global HQ and local managers may be unsure about how to make the most of a major event, especially if the sport is unfamiliar to local consumers. On the other hand, successful sports sponsorship could give a brand a real boost in an important territory. Sponsorship can help achieve a number of objectives ranging from enhancing the brand or the organisation’s reputation through to business development and building relationships. The internal communications opportunity is often a significant factor too. Although the emphasis and approach will vary by country, the majority of major sport sponsors are mass-market consumer brands. Government relations objectives tend to be a higher priority for sponsorship in those emerging markets where strong political connections are essential for business success. The fundamental appeal of sport sponsorship is that major events provide an effective way to reach a large audience at the moment when they are pursuing one of their own interests through media channels (or actually at an event). Naturally, sponsorship innovates in step with the media industry – mobile apps are in vogue this year as sponsors seek new channels to counter the decline in audiences for individual TV stations. A few global brands with sponsorship experience, such as Coca-Cola (an Olympic partner since 1928, believe it or not) will have significant local market presence and expertise virtually everywhere. However, the same may not be true for other brands of Western origin which are still feeling their way in emerging markets. Even if they are familiar with sponsorship, they may need local expertise to make it relevant. By contrast, ambitious local market brands may be looking at sponsorship for the first time, eyeing the potential for international promotion. Sponsorship activity which works in one part of the world may not be right in another. In its marketing campaign for the Beijing 2008 Olympic and Paralympic Games, McDonald’s changed its well-known slogan to “I’m lovin’ it when China wins”, in an appeal to Chinese national pride. Adopting a similar strategy, the Canadian elite athlete training programme before the Vancouver 2010 Winter Games was called “Own The Podium” but it faced criticism from some commentators who took offence at the name. In summary, the fact that major sports events are gravitating to emerging markets presents new opportunities for brands. Successful sponsorship programmes in the countries where the major events will take place in the coming years will combine international best practice and local market understanding to create a carefully tailored approach. So, what should brands be doing now to prepare to take advantage? 5) Think about your competitors’ objectives – would it worry you if they sign the deal? “Rain stops play” but should we let it? The weather forecast for the start of the Wimbledon Championships on Monday 20 June is unsettled. Rain delays seem inevitable, much to the disappointment of spectators and TV viewers. Surely in this day and age something can be done? Several of the outdoor sports have to suspend play when it rains, including cricket, baseball and tennis on some surfaces. Golf, football, rugby, Formula 1, road cycling, sailing and others are also disrupted by very bad weather. Although there have been rain delays at sports events in the UK in recent days, such as the cricket Test Match between England and Sri Lanka and horse racing at Royal Ascot, overall significant progress has been made in the last few years. The Centre Court at Wimbledon has had a retractable roof since 2009 which allows play to continue at least in one court in the event of rain or darkness. Drainage and covers at the leading cricket grounds are now so good that play can resume rapidly even after heavy rain that would have wiped out the rest of the day in years gone by. Meanwhile, horse racing has some all-weather artificial courses, field hockey is played on artificial turf and a handful of venues around the world can house football, rugby or American Football in a wholly enclosed space. For sponsors and broadcasters, the threat of disruption due to bad weather is an occupational hazard which contrasts with the virtual certainty of indoor sport. You would think that it would be in their interests to focus more on events that are unlikely to be delayed or cancelled. However, sport’s original settings are more often outdoor than indoor and only basketball and ice hockey among leading spectator sports are always held indoors. So what does the future hold? Research into artificial turf surfaces will no doubt continue with the eventual result that all sports played on grass will have an artificial option which is as good as grass. A few more venues like the Louisiana Superdome will be built to house team sports indoors, although the high cost will prevent more widespread adoption. I think rain delays will continue to feature in sport because the institutions and fans enjoy belonging to a tradition. Part of the enjoyment of Wimbledon or attending a cricket match on a fine day stems from appreciating the sunshine in the knowledge that winter will arrive one day. In any case the supporters of summer sports have it easy. Winter sport is the most vulnerable of all to the vagaries of the weather, as any ski fans will testify. The consequences of alleged corruption in sport can sometimes seem trivial compared to the serious issues of “real” politics but in fact lives are at stake. A professional footballer from South Korea called Jeong Jong-Kwan died in an apparent suicide in late May while under investigation for match-fixing in the K-league, where criminal gangs involved in illegal gambling have sought to influence players. It is too early to know whether any blame can be apportioned to the footballing authorities concerned. Match-fixing has been identified as a major issue facing sports around the world and sports federations are now taking positive steps to counter the threat. International cricket, for example, has established its own an Anti-Corruption and Security Unit where any information regarding corruption in cricket can be reported anonymously. In March there was a meeting involving the International Olympic Committee, government ministers from several countries plus various international organisations at which it was agreed to form a task force to help protect sport from illegal gambling. But match-fixing is only one aspect of corruption in sport. Doping continues to damage the reputation of cycling, athletics and others despite increasingly rigorous testing by the World Anti-Doping Agency, international federations and national anti-doping organisations. In the cases of match-fixing and doping, there is a concerted effort by the leaders of sports organisations to solve the problem. However, there are other types of corruption afflicting sport that are further removed from the field of play where evidence of progress is less clear-cut. Examples include the payment of bribes in return for awarding business contracts, and improper inducements to vote either for bidding cities/countries or for individuals standing for election. These illicit activities are often only uncovered when an insider speaks out or fails to cover their tracks. Sports organisations generally lack adequate tools and resources to investigate and take action in response to allegations of corruption. Ethics committees in international federations have limited powers – of course they cannot act like a police force. Since many international sports organisations are accountable only to their members (some of which probably have a disincentive to blow the whistle) and commercial sponsors (which are focused on their own businesses), the protection against corruption is weak. With lives at stake, not to mention billions in hard currency, it is time for a co-ordinated international approach to tackle corruption in sport. It will require further discussion to determine the right structure for the new international body or system which should be adopted but there may be a role for Interpol and perhaps also for the Court of Arbitration for Sport. The Chairman of the Danish Football Association Allan Hansen advocates the creation of an international investigation unit into sports fraud and corruption. The experience of recent days, months and years shows that the “family” of sport cannot be left to tackle corruption on its own and that the consequences are too serious to be ignored.